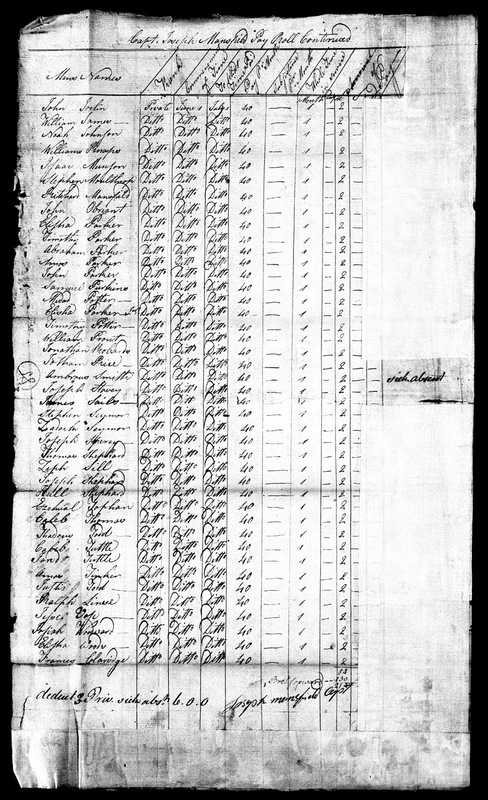 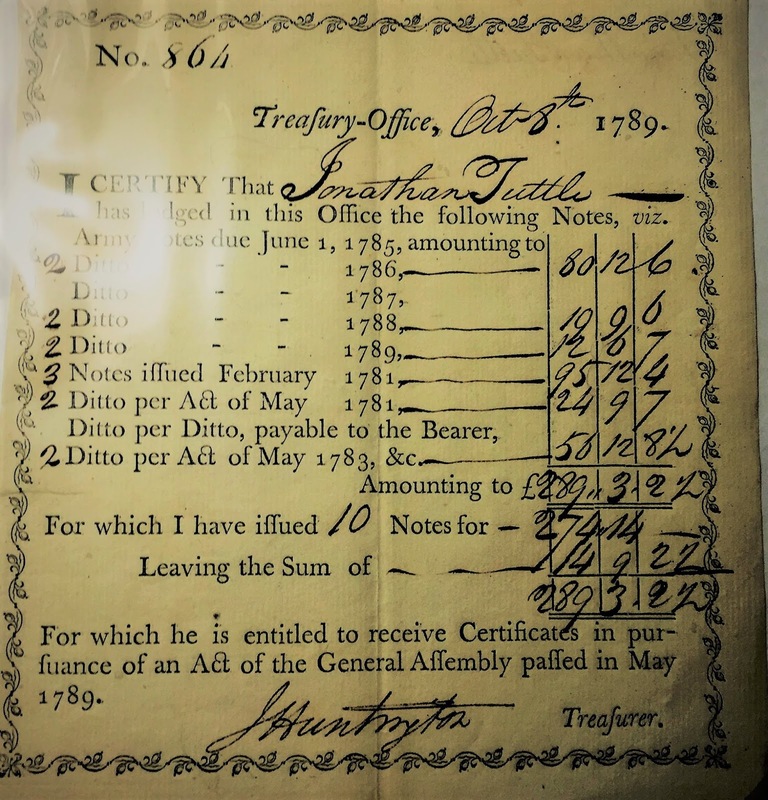 Document in private collection. 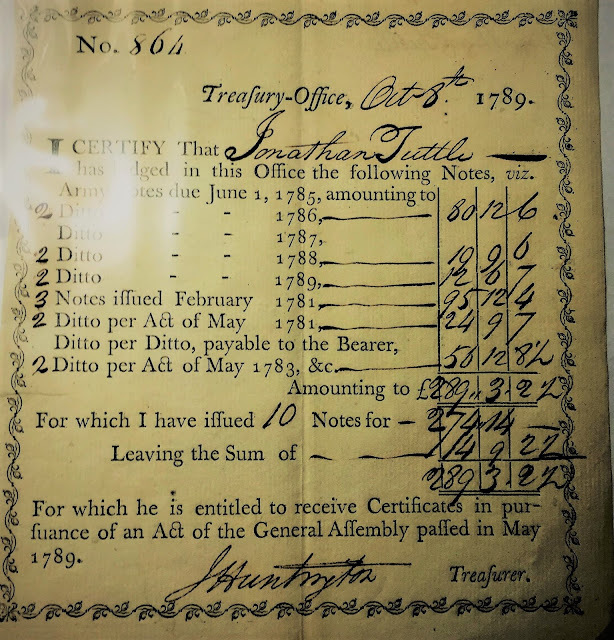 Receipts submitted for payment by Jonathan Tuttle. Date October 8 1789. 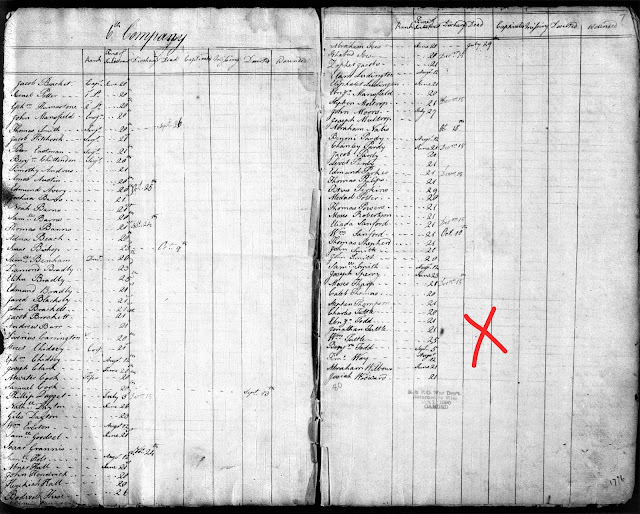 Seeking Research support to verify this document. 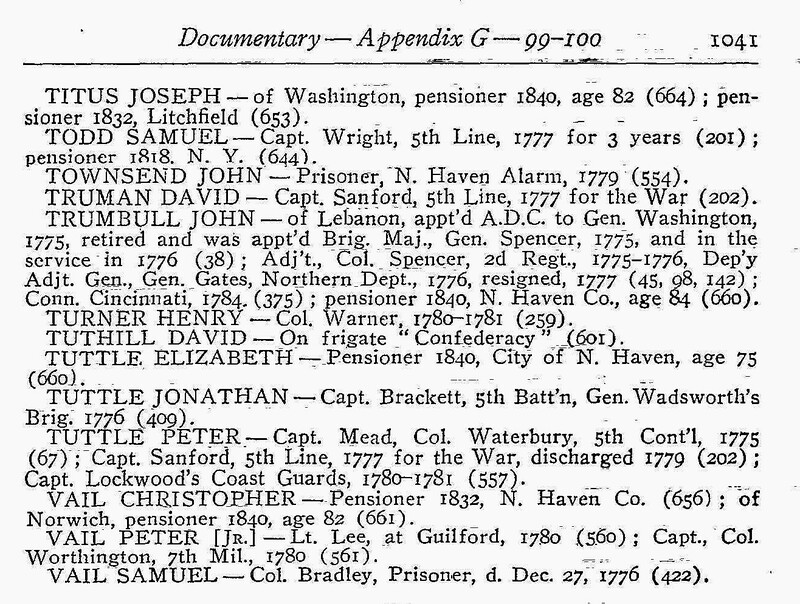 Jonathan Tuttle (1756-1822) was born to Captain Ezra Tuttle (1720-1793) and Hannah Todd in New Haven, Connecticut. He married Sybil Cooper (1746-1828) daughter of John Cooper and Miriam Todd. 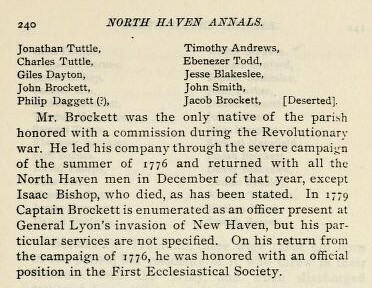 Jonathan Tuttle served as private in Captain Brockett's company, Colonel Douglas' regiment, also under Captain Trumbull, Connecticut Line. 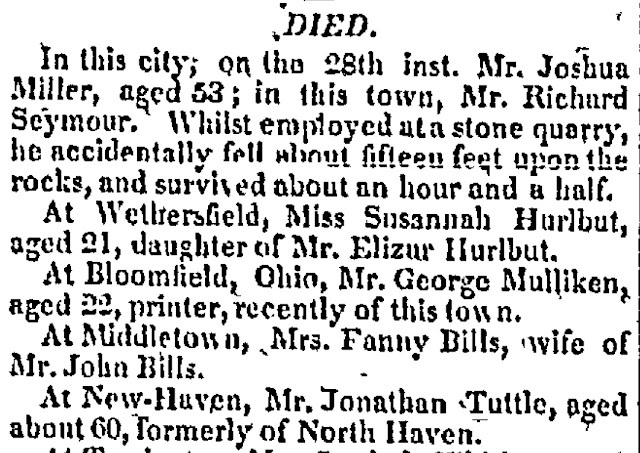 He was 66 years old when he died. 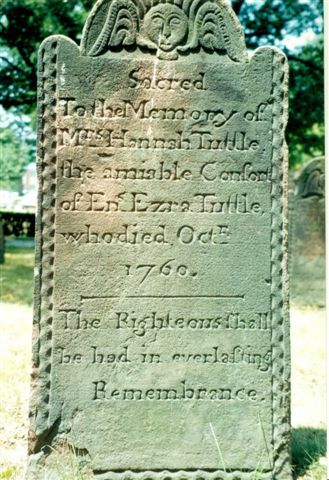 Grave of Captain Ezra Tuttle (Taken by and son Jonathan Tuttle. 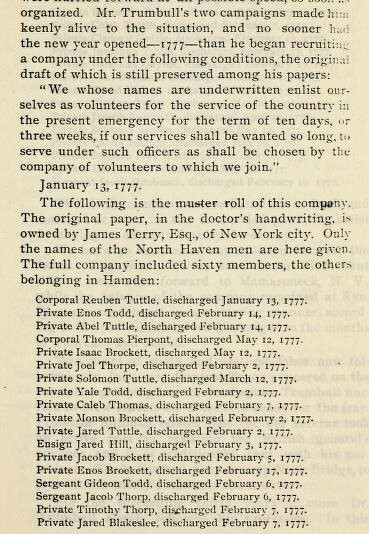 (Taken by Jan Franco) Burial: Old Cemetery North Haven New Haven County, Connecticut, USA Plot: 116 & 113 Captain Ezra m 2nd Susannah Merriman (2nd Blakeslee). 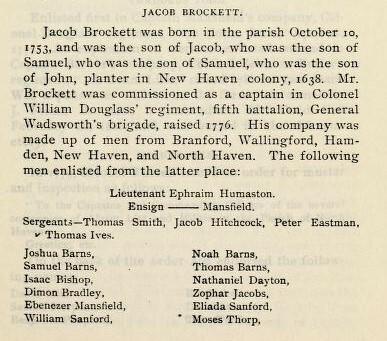 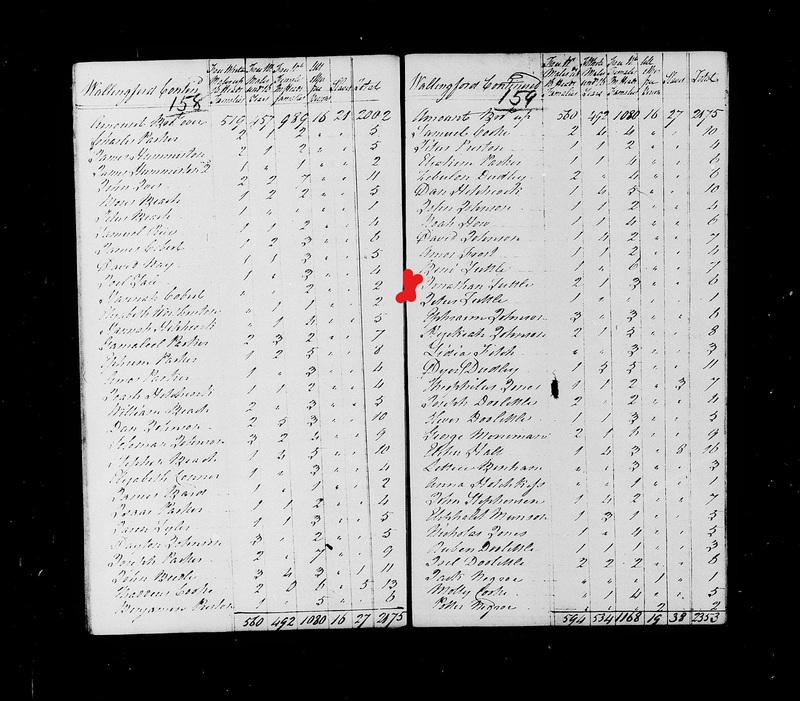 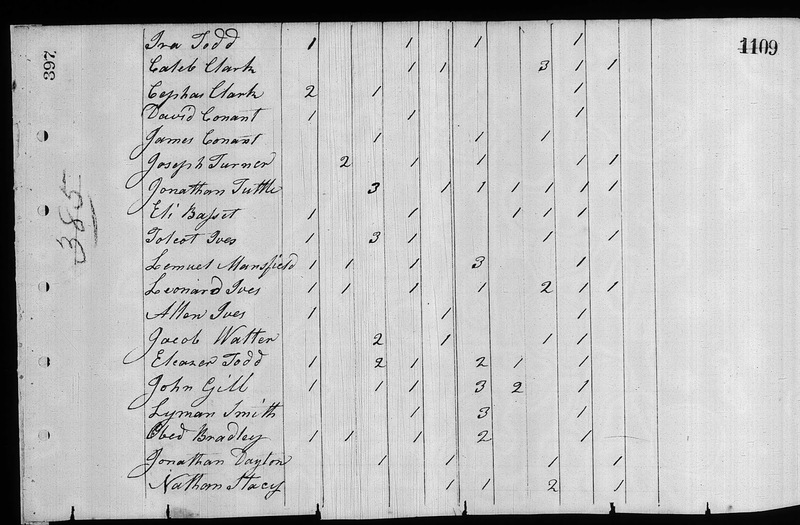 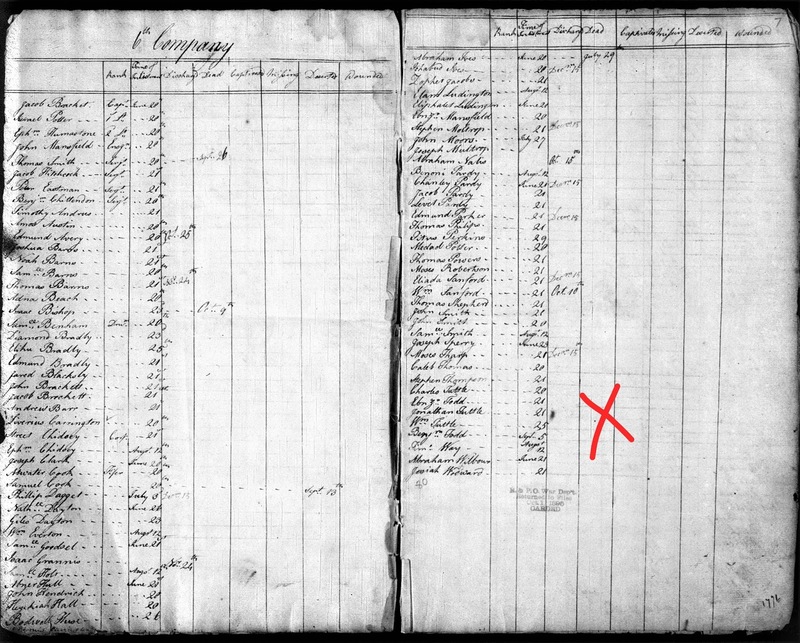 Ezra was son of Nathaniel Tuttle (1675-1728) and Esther Doolittle (1638-1756) was commissioned Ensign of the 12th Co., 3rd Regt., Oct 1759; Lieut. 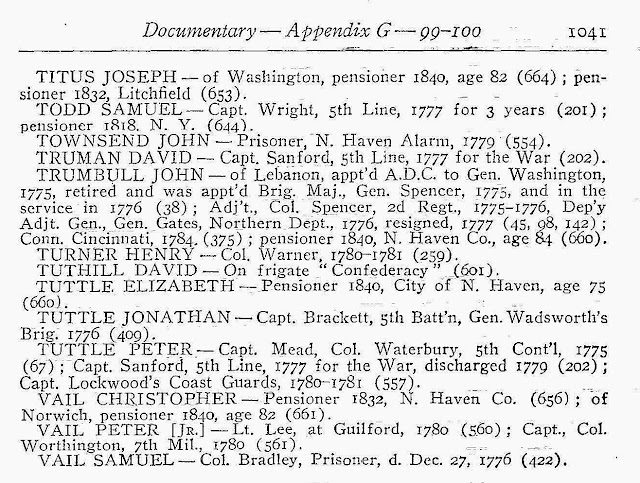 of the 12th Co., 2nd Regt., Oct 1769; and Capt. 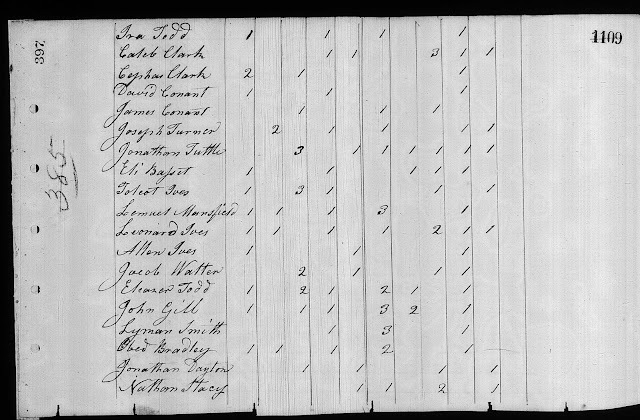 of the same May, 1770. 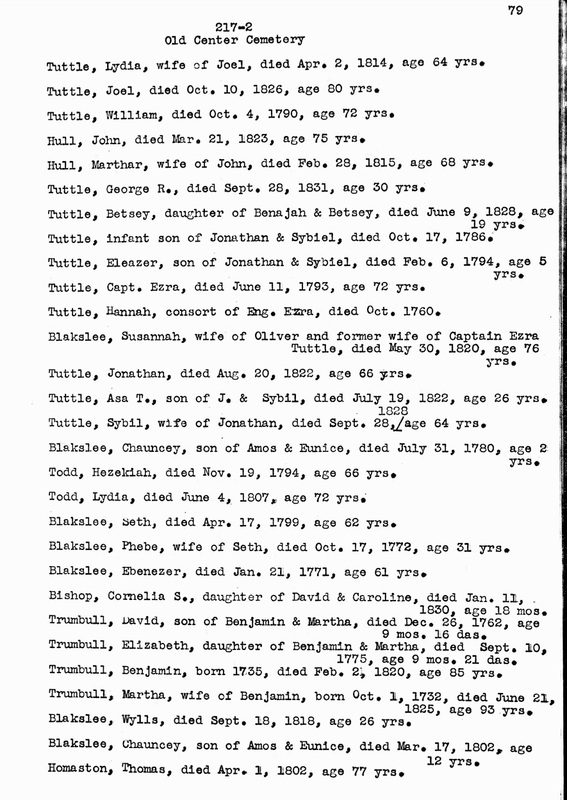 Hannah Todd Tuttle (Taken by Jan Franco) Burial: Old Cemetery North Haven New Haven County, Connecticut, USA Plot: 115 Hannah was the daughter of Gershom Todd (1695-1748) and Elizabeth Merriman (1703-1772) daughter of Japhet Mansfield & Hannah Bradley. 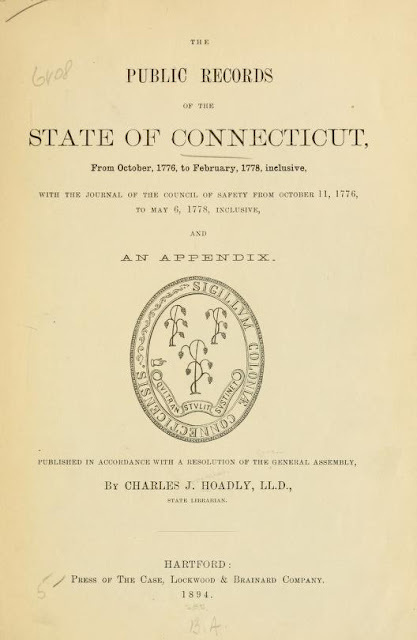 The Charles R. Hale Collection. 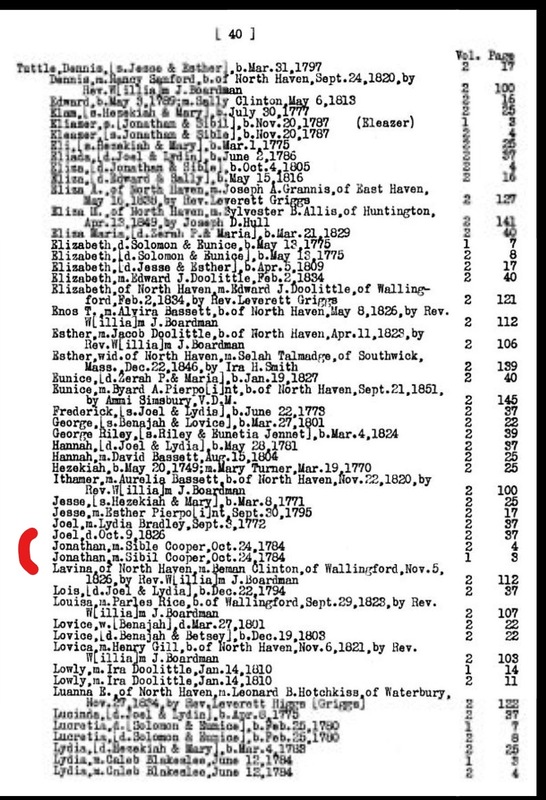 Hale Collection of Connecticut Cemetery Inscriptions. Hartford, Connecticut: Connecticut State Library. 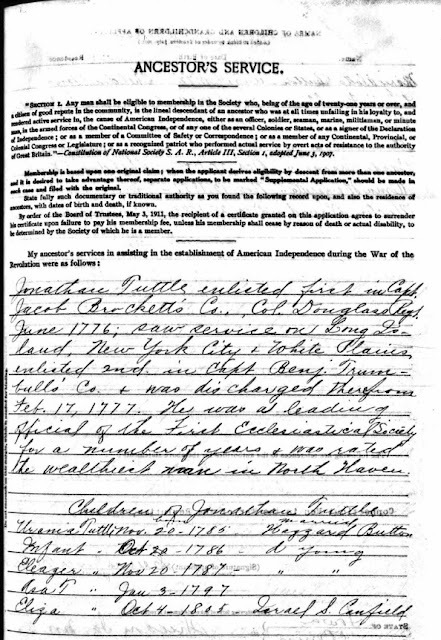 Sons of the American Revolution Membership Applications, 1889-1970. Louisville, Kentucky: National Society of the Sons of the American Revolution. Microfilm, 508 rolls.